No online sportsbook surpasses Bet365 when it comes to the sheer number of potential bets available per contest. 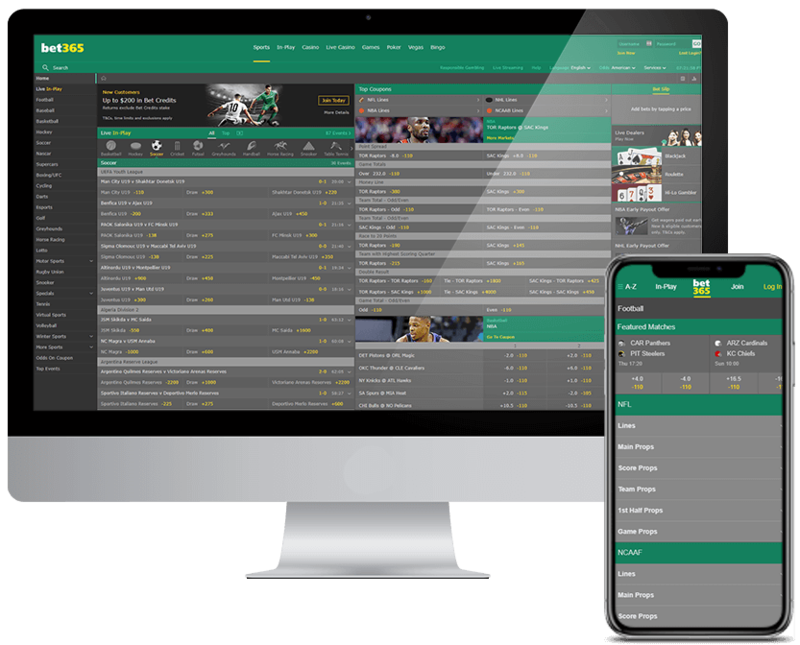 For most major sporting events, Bet365 offers up to 100+ betting options, from various totals-related wagers to outcomes at different points in the competition, all the way to whether the final combined point total will end in an even or odd number. Add to that a stunning variety of live bet options, and bettors can completely immerse themselves in one individual matchup. Bet365 allows for a wide variety of deposit options, including Visa, MasterCard, InstaDebit, iDebit, Entropay, PayPal and standard bank wires. Players can withdraw their funds on the majority of these options, as well. And speaking of withdrawals, Bet365 is among the industry leaders when it comes to maximum payouts, allowing bettors to claim as much as $2 million for marquee leagues and events. If you're looking for a truly massive online sportsbook payday, Bet365 is the place to go. Bet365's New Jersey online sportsbook will be based out of the Hard Rock Atlantic City Casino, located at 1000 Boardwalk in Atlantic City. The casino is situated not far from several other early-entry online sportsbooks, including William Hill, DraftKings Sportsbook and 888Sports. The sheer number of sports leagues Bet365 offers is staggering. The sportsbooks offers tens of thousands of betting markets each week, including a number of niche sports you won't easily find elsewhere - including E-sports and virtual sports. The live betting options are also plentiful across the majority of major sports leagues. The interface takes a little getting used to with so much on the screen at one time, but the top menu is easy to navigate and the odds are clearly marked across all wagers. And while the Flash-based interface can play havoc with older devices, it produces one of the fastest experiences for those with modern smartphones. Bet365 doesn't cut corners when it comes to serving its customers. The live chat option is available at all hours of the day, and agents often respond quickly. Players can also reach out via phone or e-mail, and the site has a comprehensive help section for those looking for quick answers without needing help from a live agent. Bet365's technical support page should make any skeptical player feel better. In addition to using 256-bit Thawte SSL to encrypt every bit of data, the company has several firewalls to prevent unauthorized access. Bet365 even goes one step further, operating an Information Security Management System to guard against info tampering. At present, players can make selected bets for as little as 10 cents. And while the company doesn't publicize one master bet max – it depends on several factors, including discipline and bet type – it does boast a max payout of a whopping $2 million, among the largest in the entire online sportsbook sphere.